Castelmola is a small medieval village in Sicily, which is part of the prestigious club “I Borghi più Belli d’Italia” (the most beautiful italian villages). 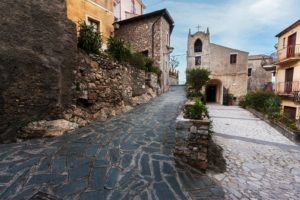 In my opinion it is a charming village and I always advise my guests to spend a few hours there, maybe after spending the rest of the day in the nearby Taormina. The historic center of this village is very suggestive, thanks to its perfectly preserved medieval urban layout, made up of picturesque narrow streets, small squares and ancient churches. As soon as you arrive in Castelmola (there is only one road to reach the village) you will be in Piazza Sant’Antonio. The pavement of this square is made up of an extraordinary white stone mosaic alternating with lava stone. From here you can admire the underlying city of Taormina, the Ionian coast of Messina and Calabria. On one side of the square there is an ancient stone arch that once was the only entrance for the village. On the square there is also the Church of St. Anthony (Chiesa di S. Antonio), now used as a municipal auditorium. There are many churches in Castelmola, where you can find the presence of different architectural styles. Near Piazza San Antonio, you will notice the little church of San Giorgio, which incorporates a tiny bell tower. Behind the church, a wrought iron ladder leads to a panoramic terrace where you can look out onto Taormina. Not far (the village is really small) there is the Main Church of Castelmola, dedicated to S. Nicola da Bari, which faces to a beautiful square. On the same square there is the famous Turrisi Bar and a souvenir shop. At the back of this church you will find a panoramic view. Castelmola owes its name to the presence of an ancient Norman castle that fronts the town, and of which only the evocative ruins remain today. From the castle you can admire a spectacular view, especially at sunset. You can see Mount Etna, the bay of Giardini Naxos and the stretch of coast to the south. If you want to taste a typical local product, I recommend the almond wine, that is made only in Castelmola. You can try and buy it at the historic café San Giorgio (a real institution of the village), situated in piazza Sant’Antonio or in the aforementioned Bar Turrisi. Getting to Castelmola from the Sea Shell holiday house will be very simple. Follow the seafront to the north to Fiumefreddo di Sicilia, then take the SS 114 and heep heading Messina. 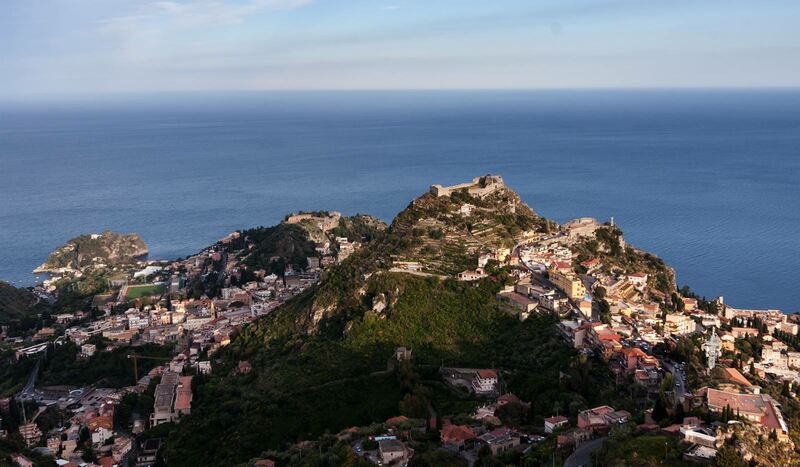 After the town of Giardini Naxos, take the SP10 near Capo Taormina (following the signs for Taormina and Castelmola). Just outside the historic center of the village you will find parking tickets. Castelmola is connected to Taormina by the buses of the Interbus company. 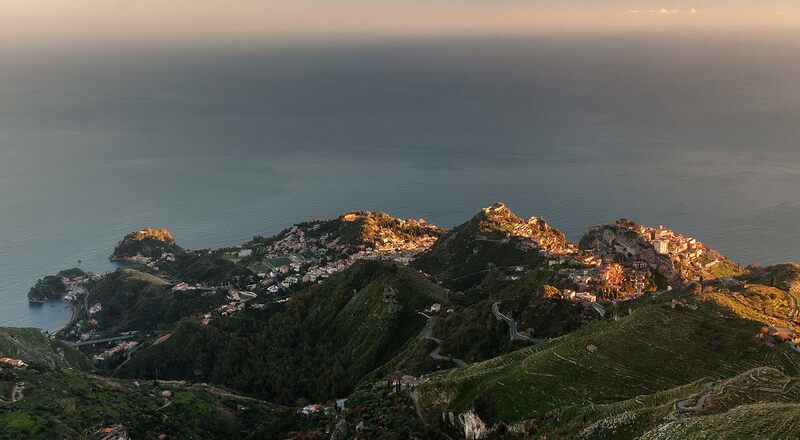 If you want to travel by public transport, follow our directions to get to Taormina, then, you can continue with a second bus of the same company.